My journey with this object started before it arrived on my workbench. 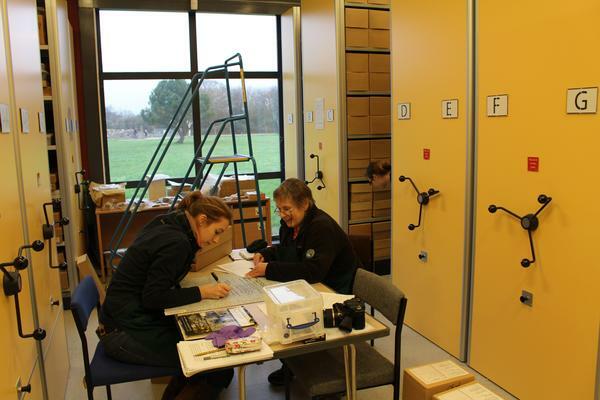 A few months prior to receiving the archaeological dish, the 1st year students of the Ceramics and Related Materials Department at West Dean College spent a week as volunteers at the Study Centre at Fishbourne Roman Palace. 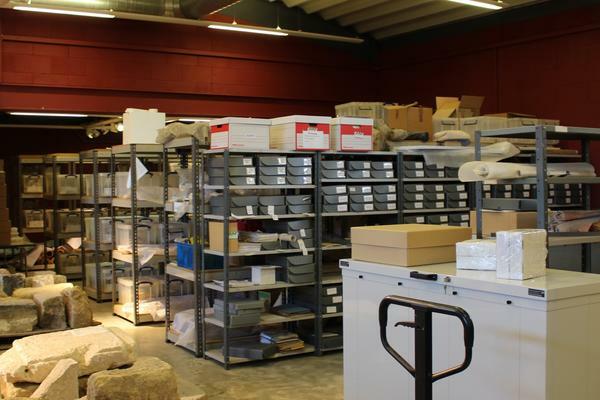 The Study Center houses material from the Roman Palace and Collections from Chichester District Council. The museums have extensive collections, and some of the highlights are mosaics, pottery and remains found from the St. Pancras Roman cemetery in Chichester. While we were at Fishbourne, we had the chance to examine and interpret the history of each object we came across. Our job was to rehouse the objects using archival materials. Since we had the chance to be up close with each object, it was a prime opportunity to document them and provide updated condition reports. 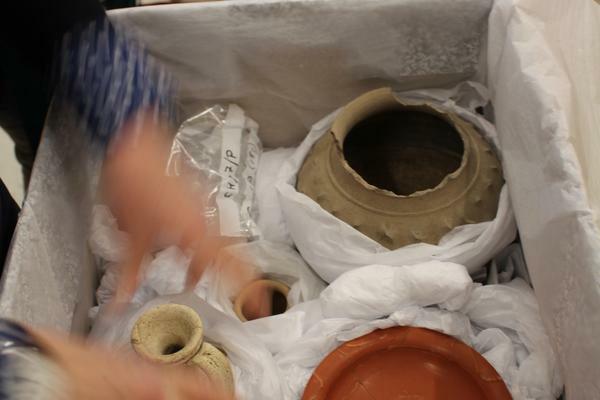 However, this also gave our department the chance to study the clay fabric of the ceramic objects we came across. 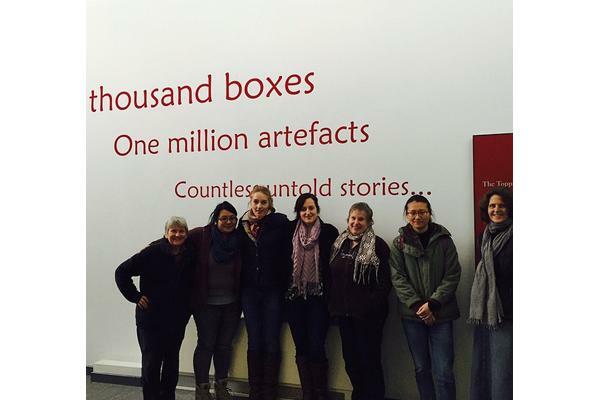 In the beginning of the year, we spent time at the Southampton Archaeological Field Unit, with Dr. Andy Russel. He introduced us to various ceramic body types and clay fabrics. 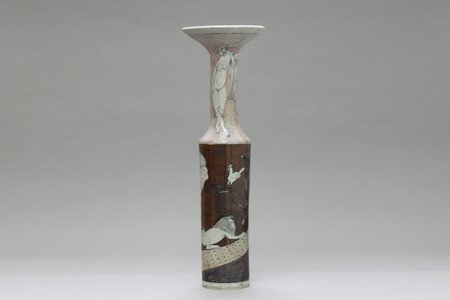 Clay fabrics are clays in which the object is made; knowing this information helps archaeologists and conservators place the origin of the object. We spent the day analyzing shards, and objects under the microscope. 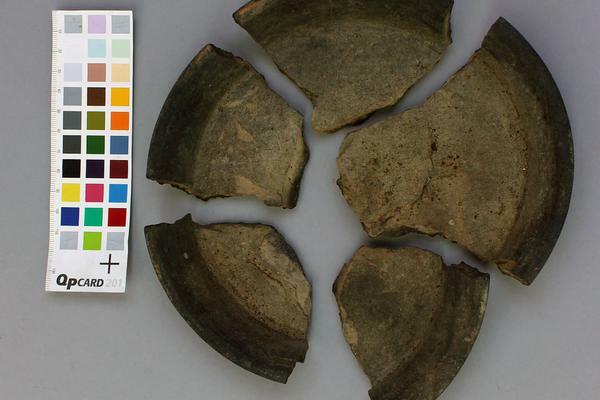 This helped familiarize us with some characteristics of Roman pottery, and later assisted us in the process of identification and condition reporting at Fishborne. 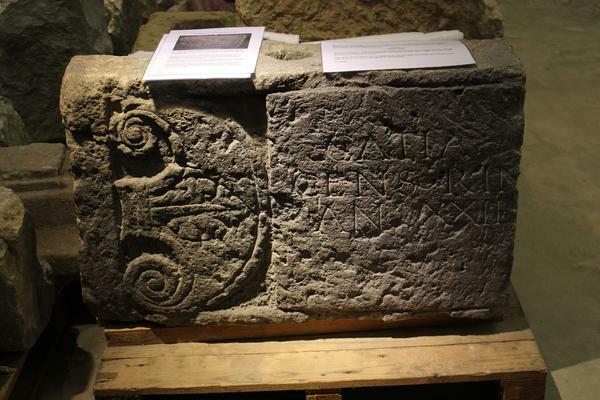 The Novium (Chichester District Council Museum) presented us with a brief on the materials we would come across at Fishborne; it stated, "The Roman cemetery at St. Pancras was in use from ca. 70AD-late 2nd century AD, although some sporadic burials did occur up until the 4th century AD. Around 320 burials have been excavated from the site, the majority being cremation burials dating from the 1st-late 2nd century AD. The grave goods buried along with the cremations give an impression of what life was like in the Roman period in Chichester, as well as what objects were believed to be useful in the afterlife-oil lamps, cups, plates, cosmetic sets, jewelry, talismans, and unguent flasks." As our work began, we started coming across not only pottery, but Roman glass, bone, and metal. The items began to tell a contextual story. 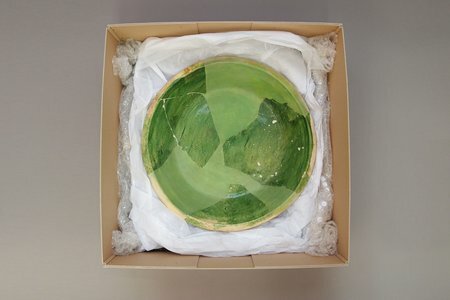 I was given a Roman greyware dish, which is low-fired earthenware. The object arrived in fragmental form, with no previous treatments present. The object appears to be in stable condition. However, there were small surface fractures present, and small areas of loss were present along the interior break edges. 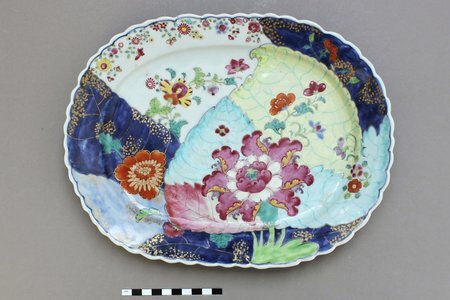 The museum would like the object surface cleaned, bonded, and color filled, for display. In the next post I will show you the treatment!